Welcome to my merchandise page! Most images you see on my website in the galleries are for sale. You can simply use the green buy button on the lower right when clicking on an image. This will open a new window with all the different options for purchasing prints and other merchandise with the selected image. 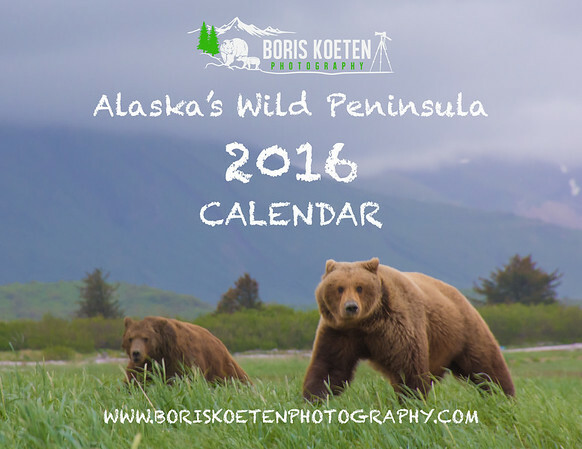 My 2016 calendar, "Alaska's Wild Peninsula", is now available for purchase by using the link below. 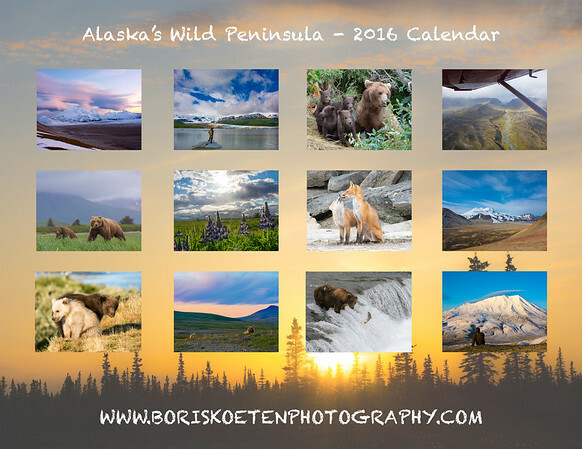 I created this 2016 calendar using some of my favorite images that I have taken throughout my 6 month stay in Alaska. These are wall calendars measuring 11" x 8.5" and include a pre-drilled hole for easy hanging. Volume discounts are available, please contact me for details. Calendars are $12.00 each + $3.00 shipping within the United States. For orders outside the United States please contact me. Thank you for supporting a small independent photography business! These calendars where proudly created and printed in the USA.